Since February 14th, 2018, I have been engaged with the March For Our Lives movement. From sharing everything they were doing as young people finding their voice and platform to watching their interviews, reading their magazine articles to participating in my local March For Our Lives. I have been in awe of everything this movement has accomplished and are proud to call all members role models of my generation for my generation. 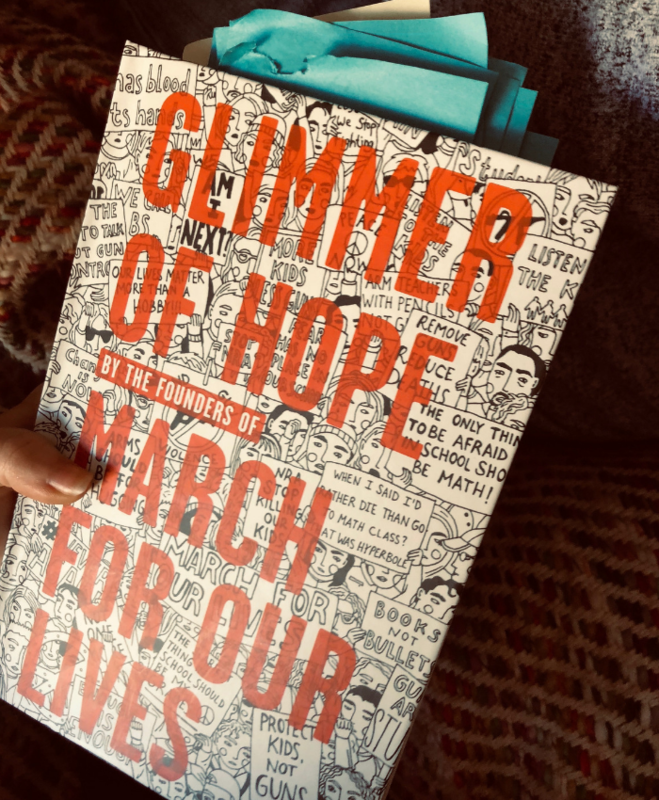 I recently received an advanced copy of Glimmer Of Hope, the book by the founders of March For Our Lives. I feel like I have been part of their journey from day one from an outsider view, so this book gave me a lot of perspective beyond that. It is truly the history of a movement that is just getting started. Something that truly inspired me in Glimmer of Hope is the spirit of the movement – what drives it. Cameron Kasky, one of the first core members of March Of Our Lives, explained it in one of the first chapters. There were six words that he repeated to himself on the 14th, the day of the shooting at Marjory Stoneman Douglas High School, was what would become his mantra everyday since. Another core member of March For Our Lives, whose actions and words went viral, is Emma Gonzalez. She also spoke the truth when talking about the spirit of the movement and how they all accomplished it effortlessly. In the early days, they discovered everything that a march – a movement – cannot sustain itself on anger. The only way they could be successful, motivate others and make change happen was if it came from a place of finding joy, positivity and loving one another. They needed to focus their energy on researching and learning about gun control and get their message out there. While reading Glimmer of Hope, I was reminded the power of community. One person could never have launched this movement alone. 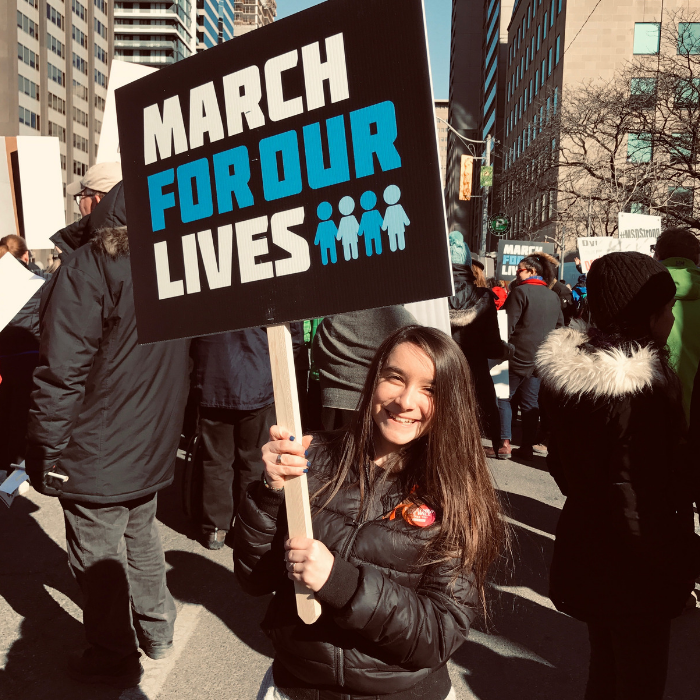 March For Our Lives started out as a grassroots organization. Most of their meetings planning the biggest youth organized march in US history were held in Cameron Kasky’s living room. Everyone brought different skills to the table – strategy, speaking, marketing, merchandise, social media, logistics and working with politicians. There are roles such as Every single person was at their best when they were planning in that living room, because they were together. Jaclyn Corin explains that when she walked into Cameron’s living room and saw her peers all fighting for a common goal, she felt an immediate sense of belonging and empowerment. That’s what it’s like when you find your community. When they came together they saw what was possible and they went for it. And their community expanded on a massive scale through social media. With the click of a button, we can not only share what we think, but connect with potentially millions of other people who share our passion and interest. Social media gave the Parkland survivors and MFOL core founders a platform and allowed them to share their own opinions – unfiltered. One of the reasons March For Our Lives is so impactful for me and my generation is because we are living in a time where our words can reach millions of people online. This was not the case with some of the past school shootings. The school shooting at Columbine was in 1999 and when the Sandy Hook shooting happened in 2012, not only were the survivors far too young to speak on school safety (they were elementary school students), but the only outlet parents had to speak their minds and inform the public was the media and television. But soon, the media focused on something else and because they no longer had a platform, there wasn’t as much consistent attention. But now in 2018, we have a place where we can directly speak to our audience and social media has become one of the most effective and important tools for the organization. Anyone and everyone will be motivated by this book. I consider myself to be a seasoned activist and for someone that has been at this for a while, this will remind you why you do what you do and will reignite that passion in you that got you started in the first place. 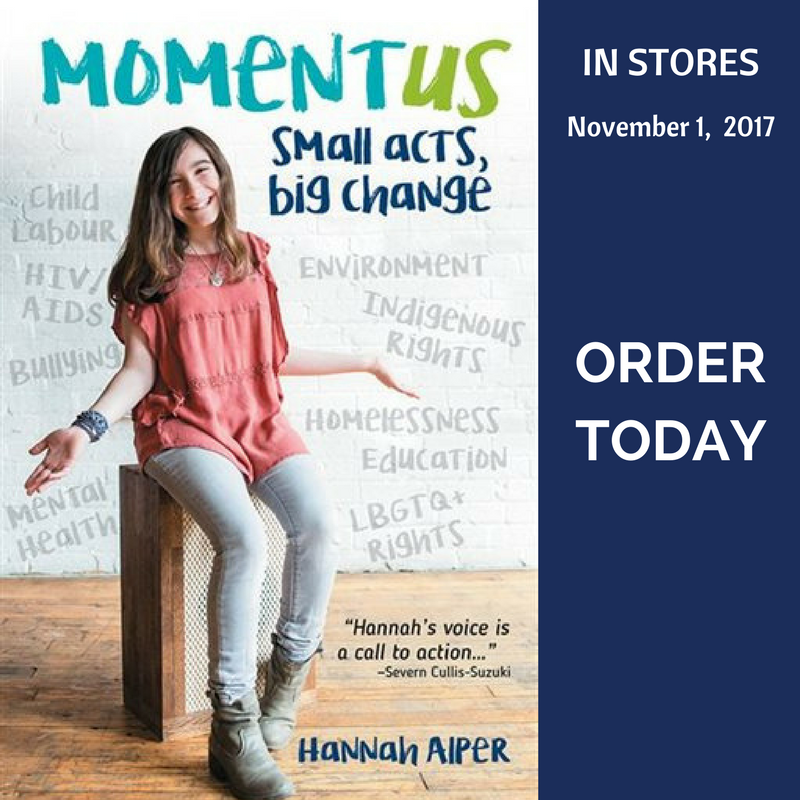 And for those of you who want to make a difference but don’t know where to start, no matter what you’re passionate about, this book will inspire you and help you get started, regardless of the issue you’re fighting for. To those on the side of peace and justice. To those who were told they were too young to demand a better world. To those who have found hope. You can purchase Glimmer Of Hope wherever you buy books online and in stores on Tuesday, October 16th. Note that 100% of the proceeds from the book will benefit the March For Our Lives Foundation and the ongoing fight to end gun violence in the US. You can purchase the book on Amazon here.